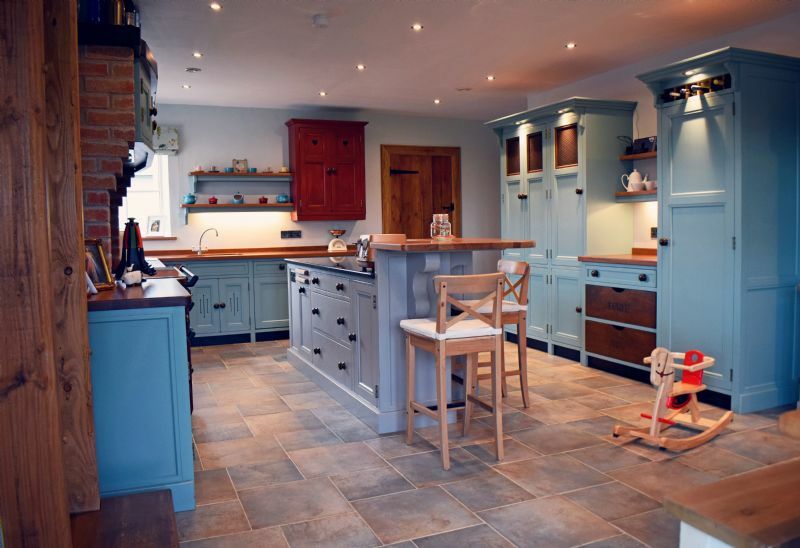 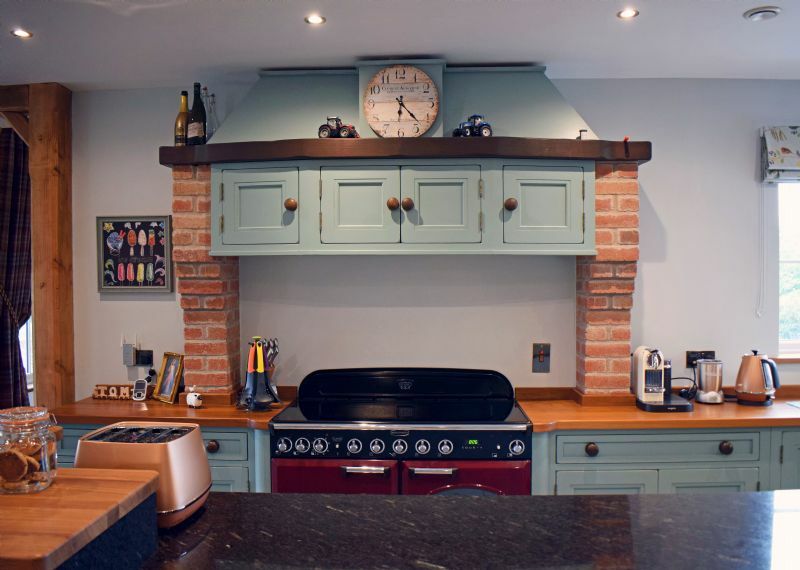 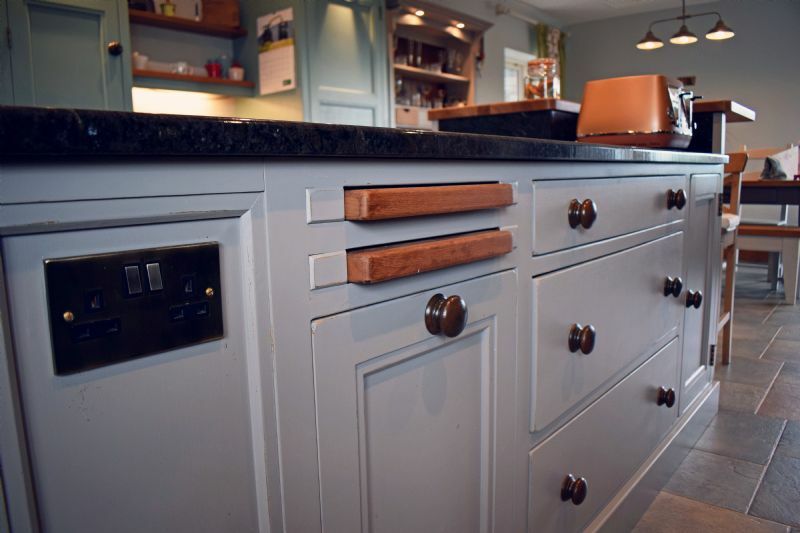 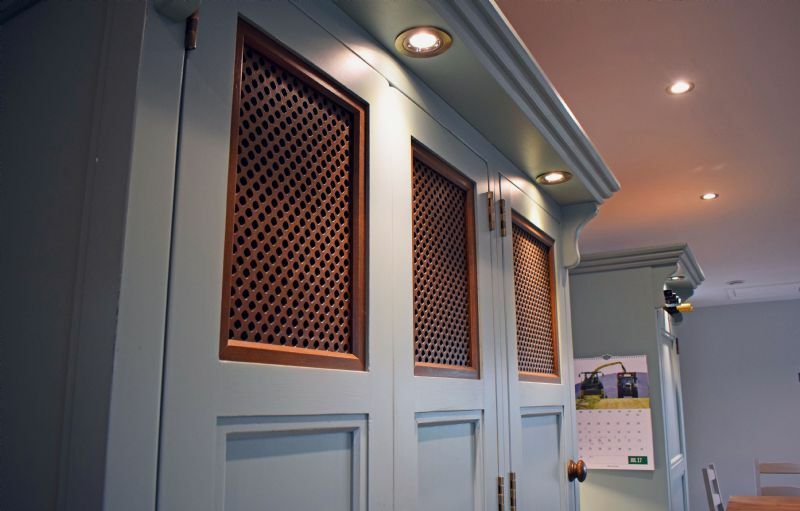 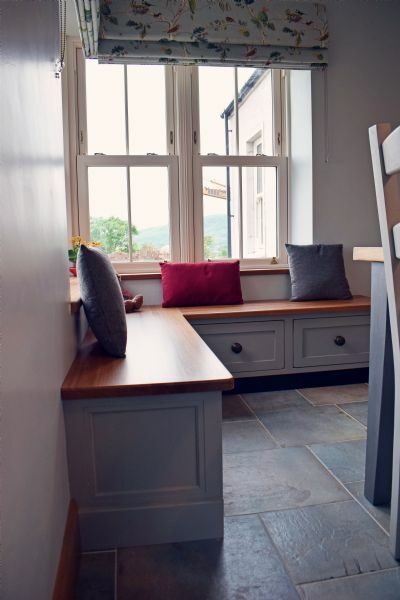 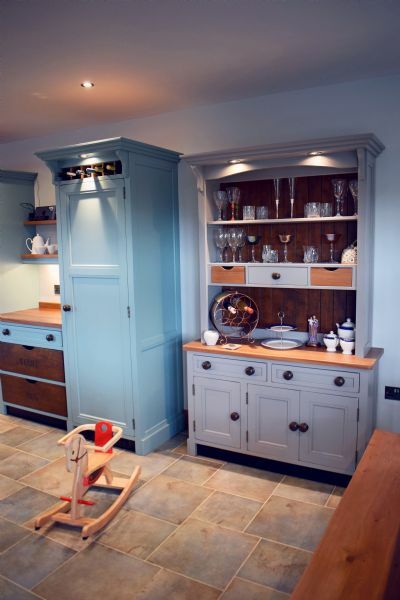 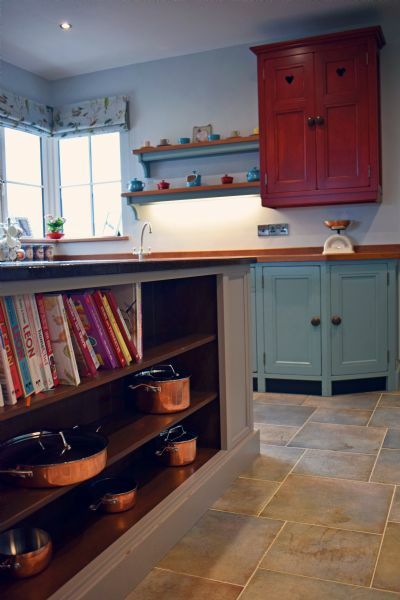 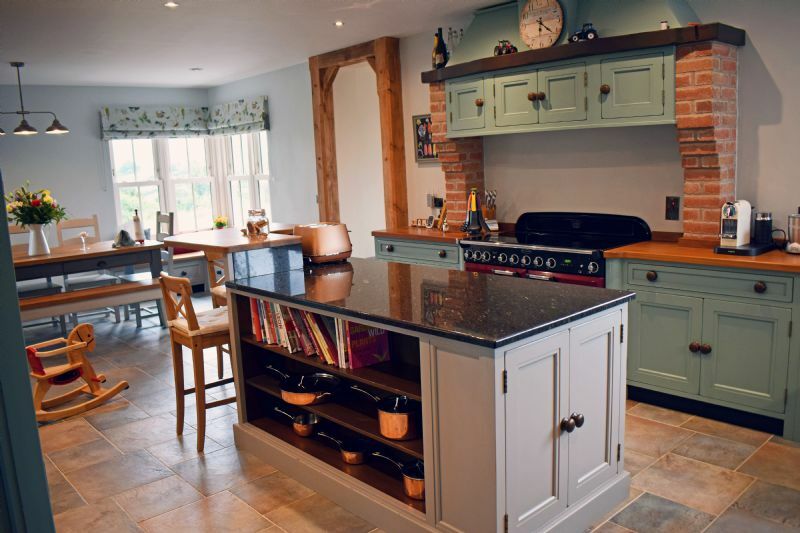 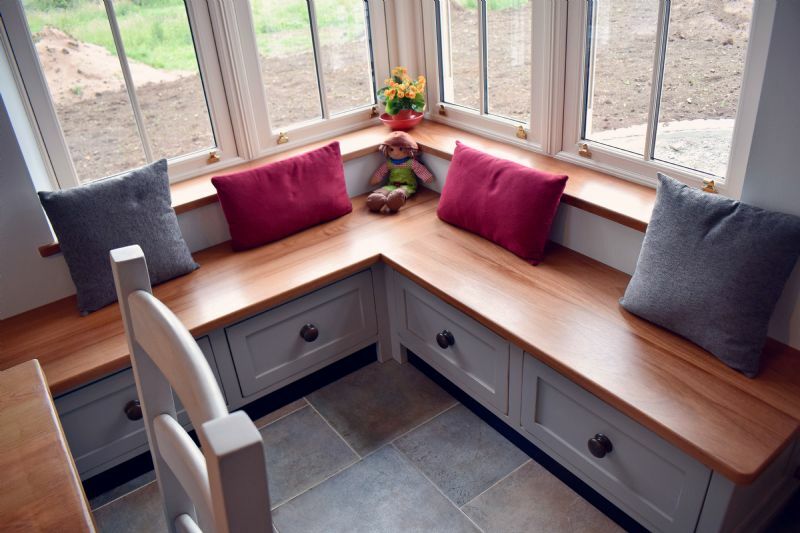 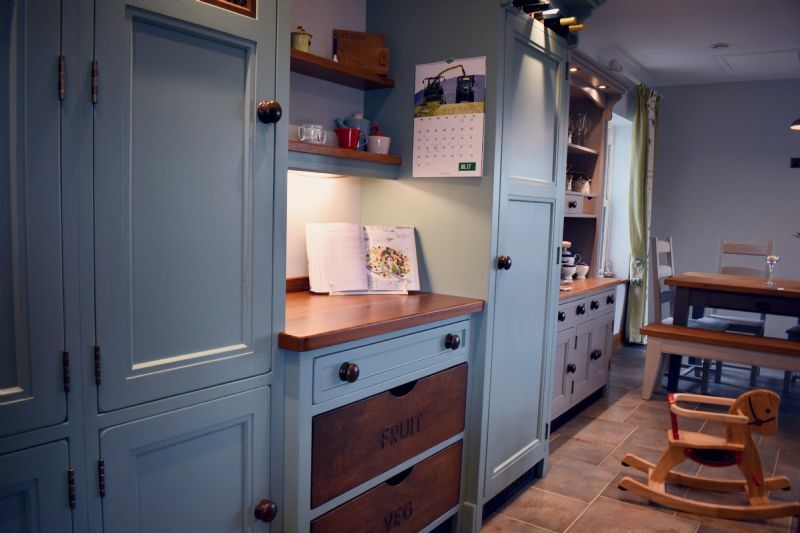 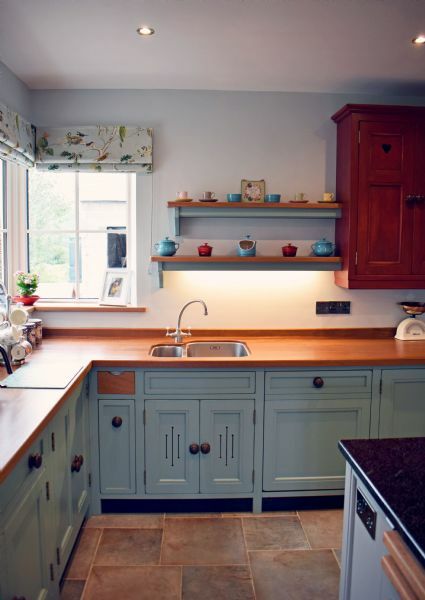 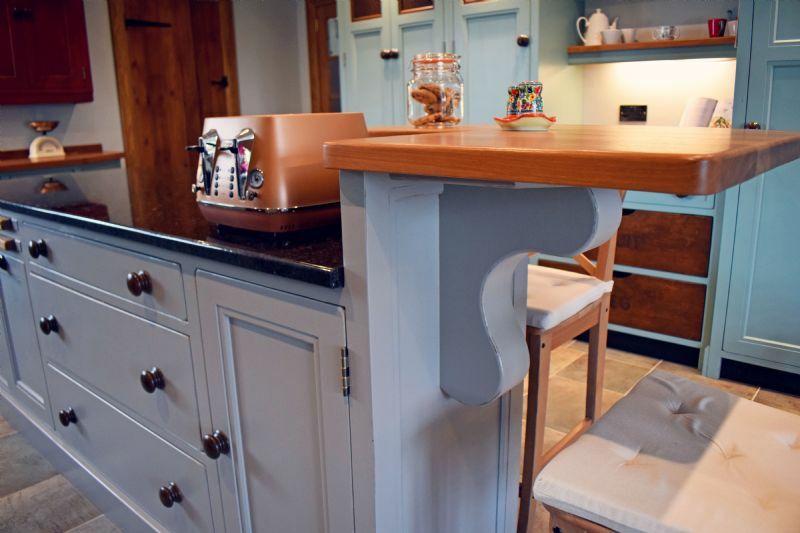 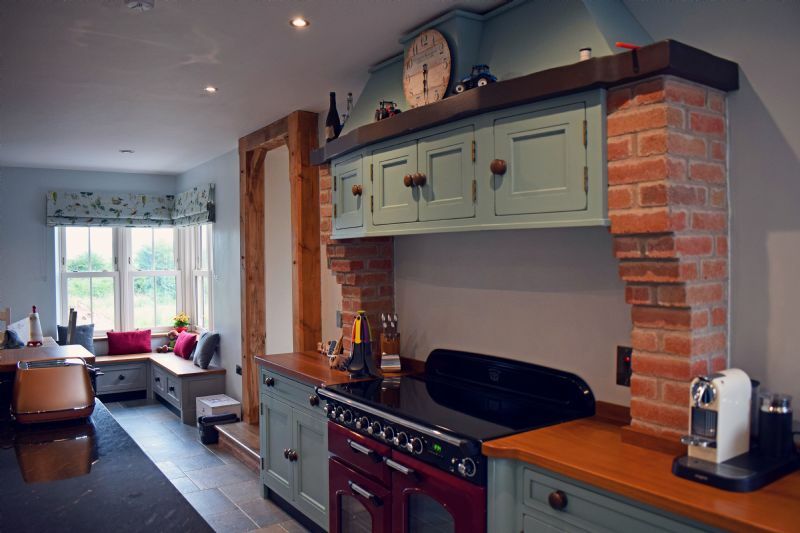 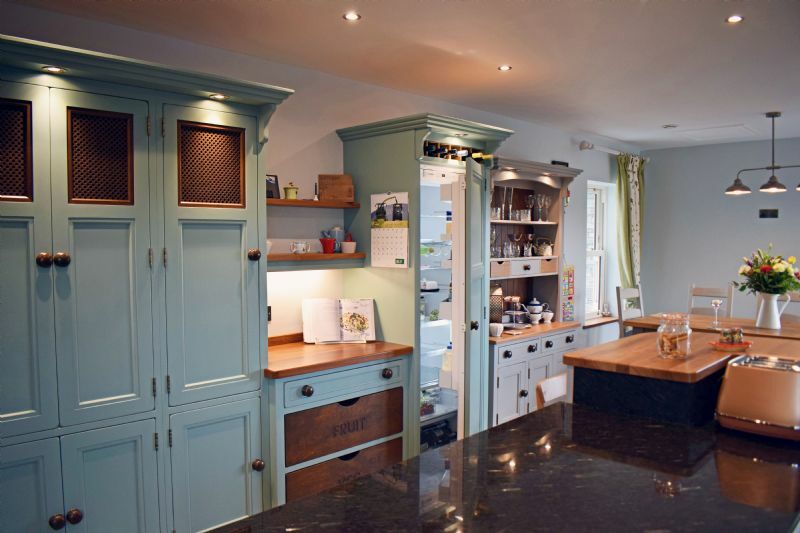 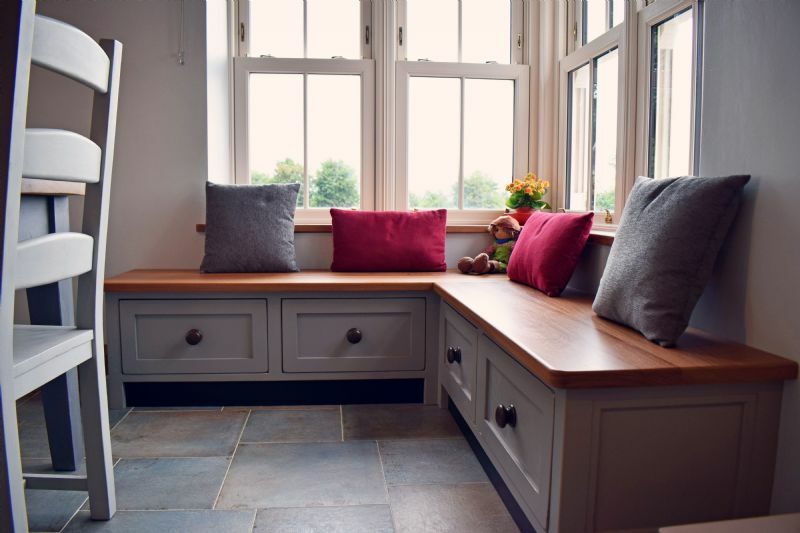 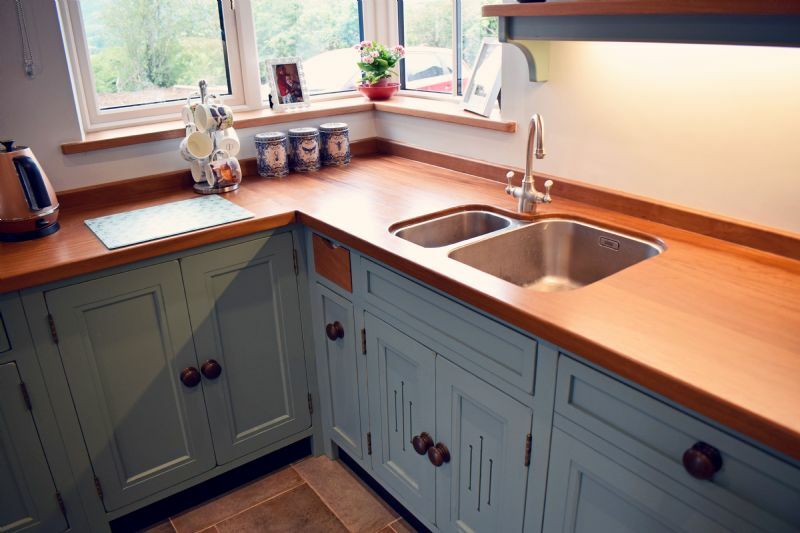 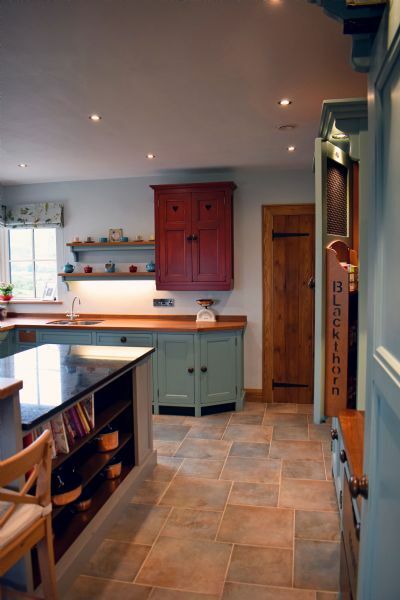 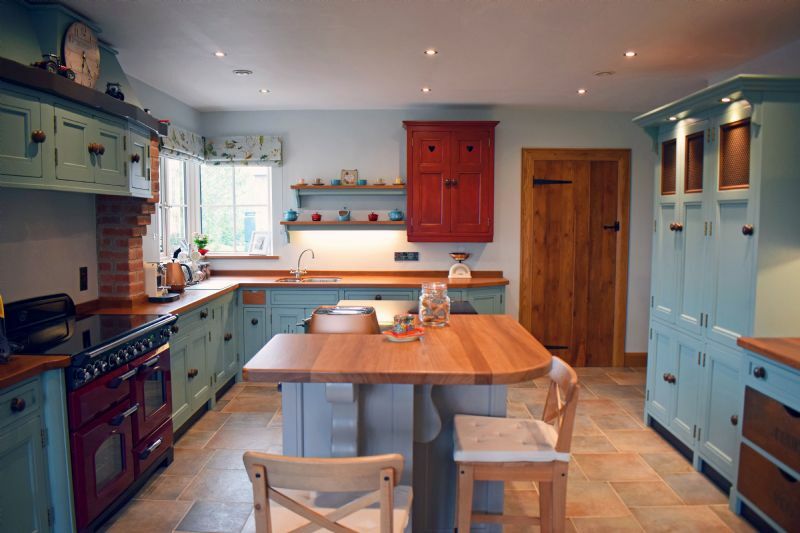 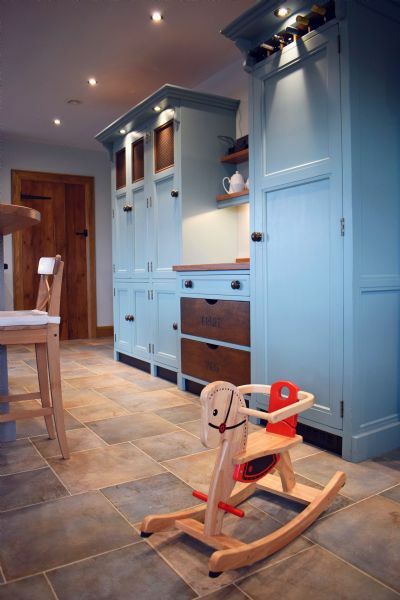 Ronan and Lorna wanted a traditional Country House style kitchen with plenty of space that also felt like a cosy room to spend quality family time together. 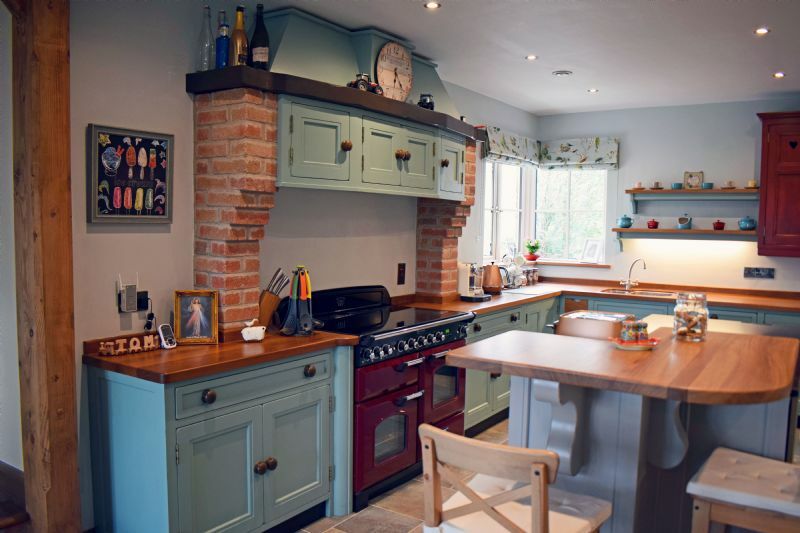 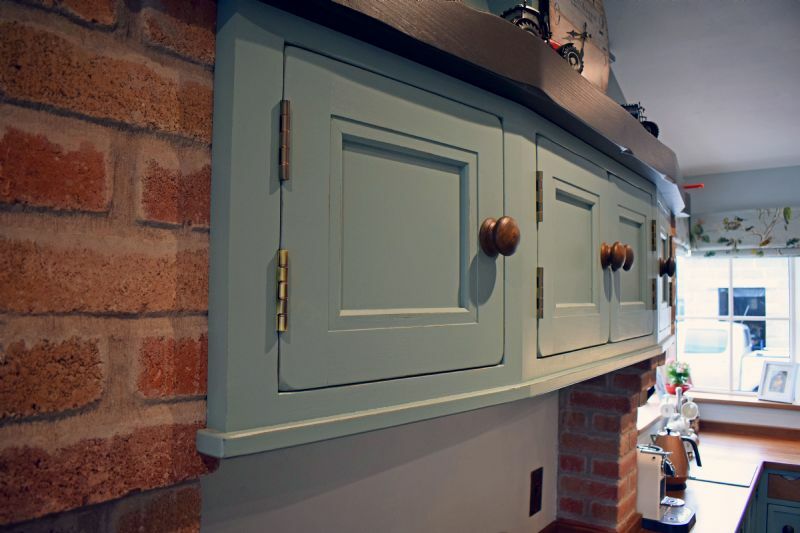 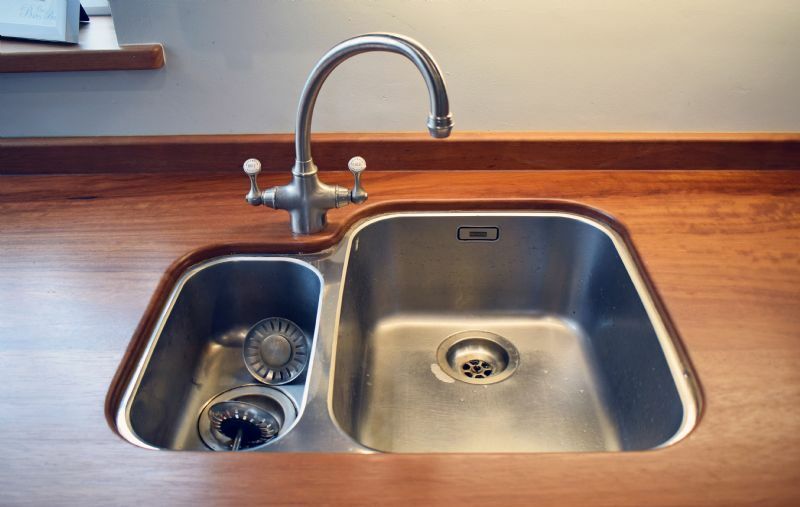 Hand painted in the vintage-inspired green-blue tones of Farrow & Ball Dix Blue, the main units form an L-shape and include a Rangemaster stove, a stainless steel sink with Perrin & Rowe ‘Etruscan’ taps, and an integrated dishwasher all topped with a beautifully burnished Iroko plank worktop. 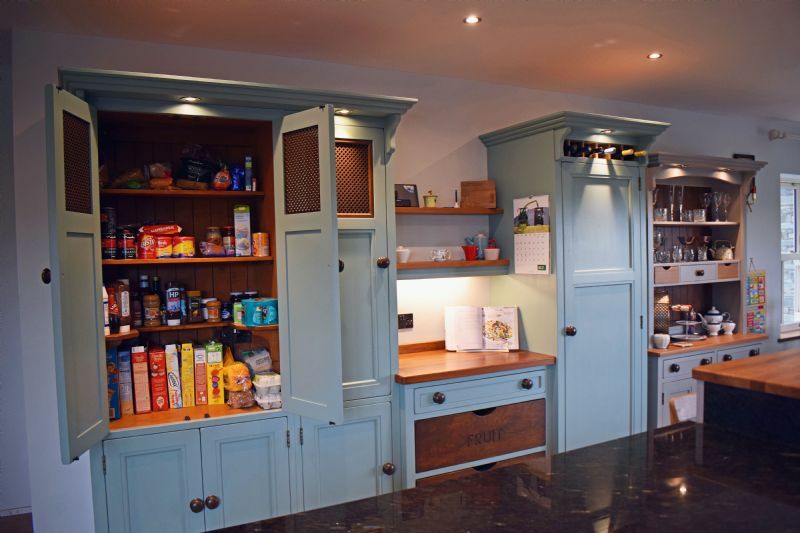 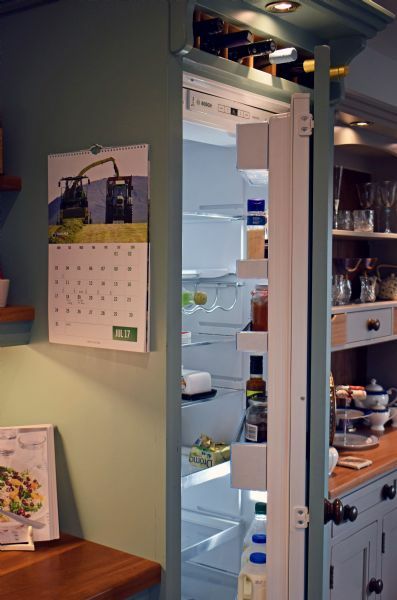 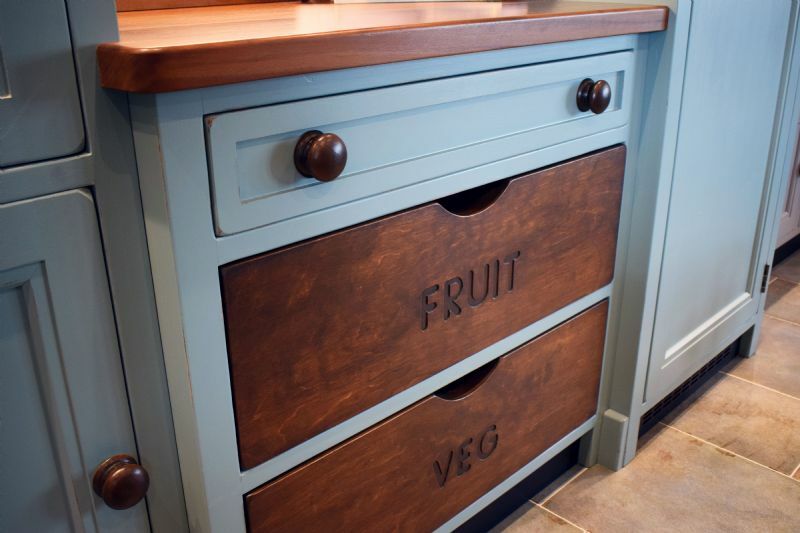 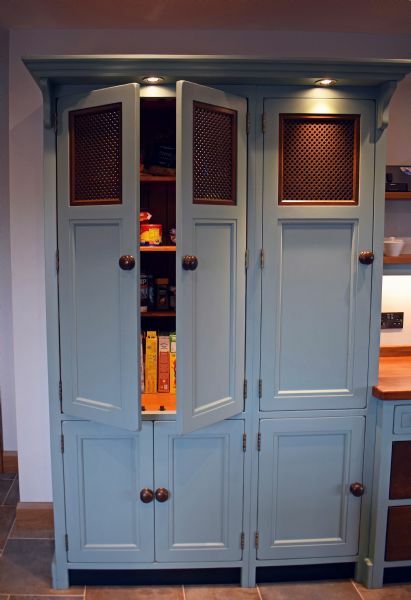 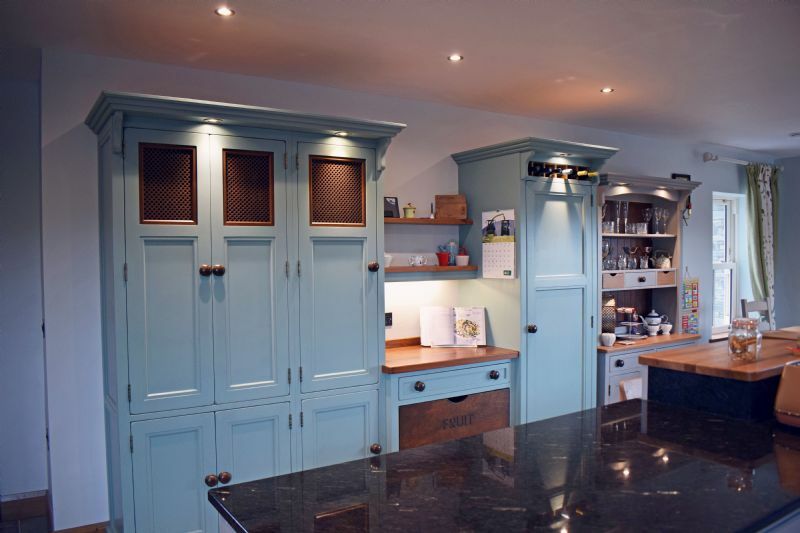 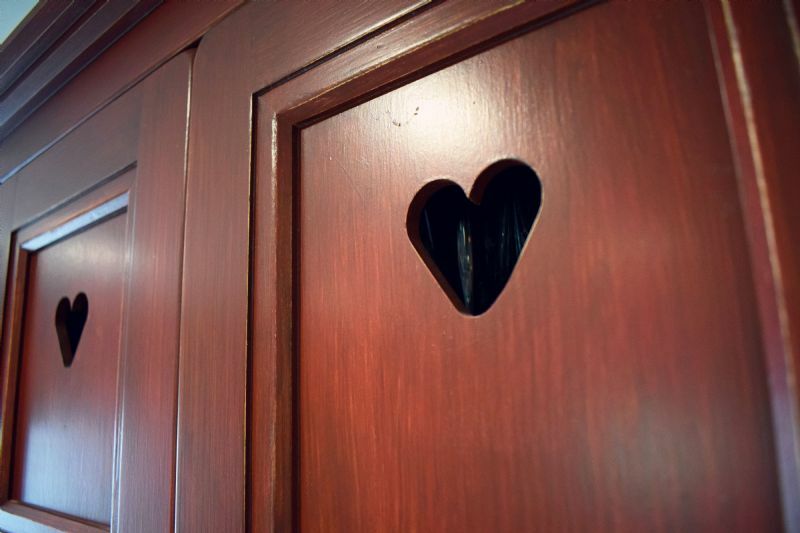 The bank of tall units on the other side of the island, also painted in Dix Blue, include Blackthorn’s flagship piece the Traditional Larder unit, as well as an integrated fridge-freezer, shelving, and dedicated fruit and veg storage. 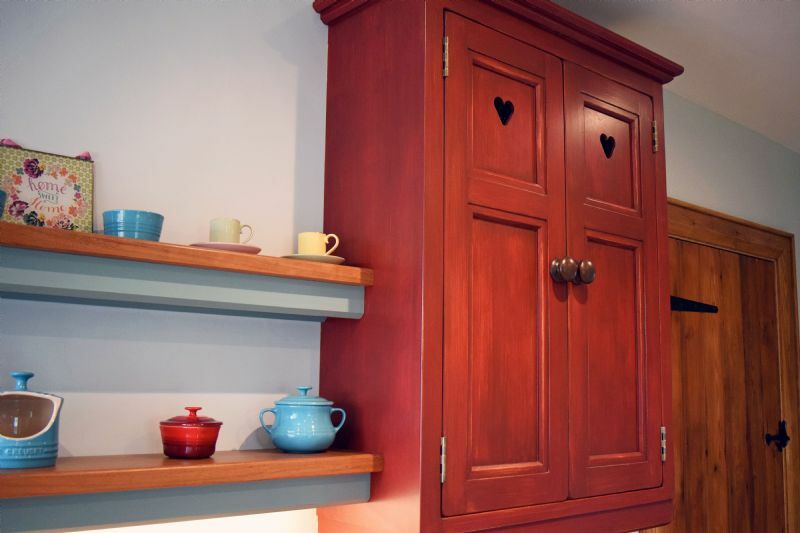 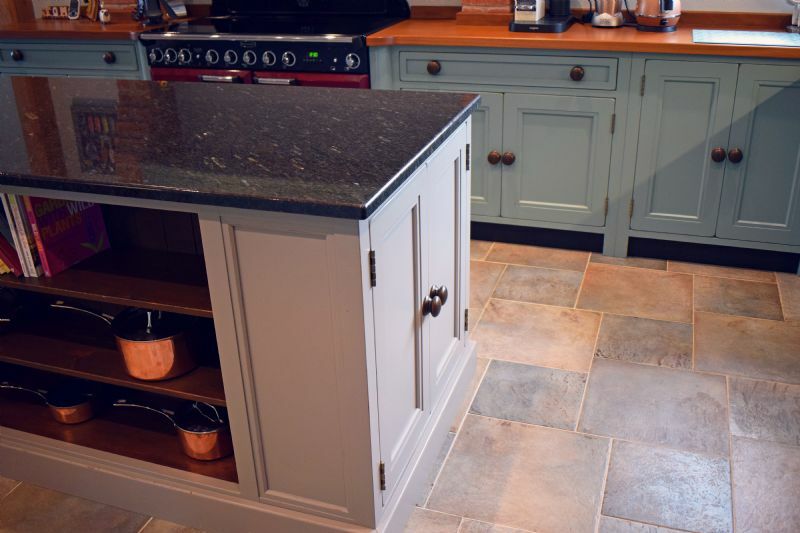 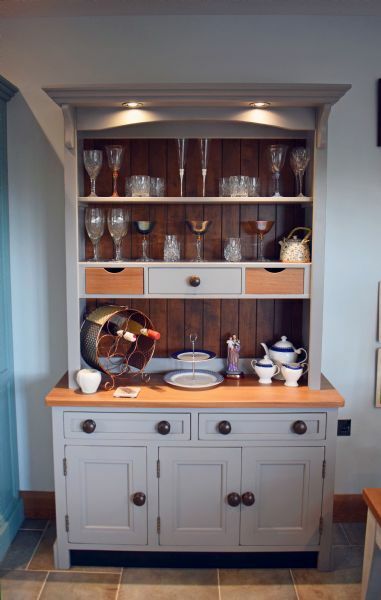 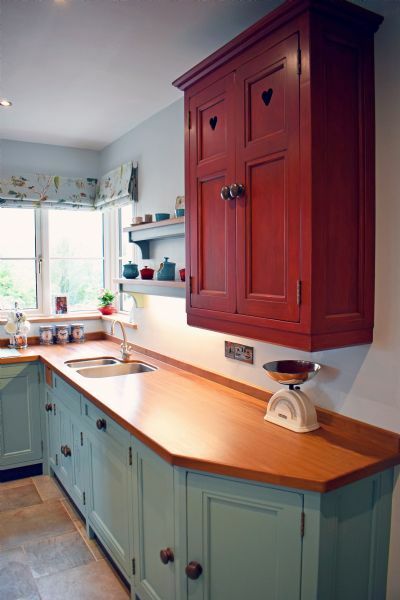 The island, dresser, and window seats are all hand painted in the soft warm tones of Farrow & Ball Worsted, and Blackthorn’s own Doran Red adorns the tea cabinet and complements the rich Cranberry of the classic Rangemaster.